YGB is currently welcoming new members grades 2 - 8. We have moved our rehearsals to Berkeley, Ca. YGB is dedicating the 2018-2019 to building YGB Berkeley, but we will be resuming YGB Oakland in the near future. Stay tuned. Four black educators recognized that black history and pride education would help black children succeed. They came together in Ithaca New York, in 1981 and formed Young Gifted and Black. Fast Forward to 2010, one of these educators, recognizing the same need in Oakland California, teamed with her son an original YGB member and formed Young Gifted and Black of Oakland. 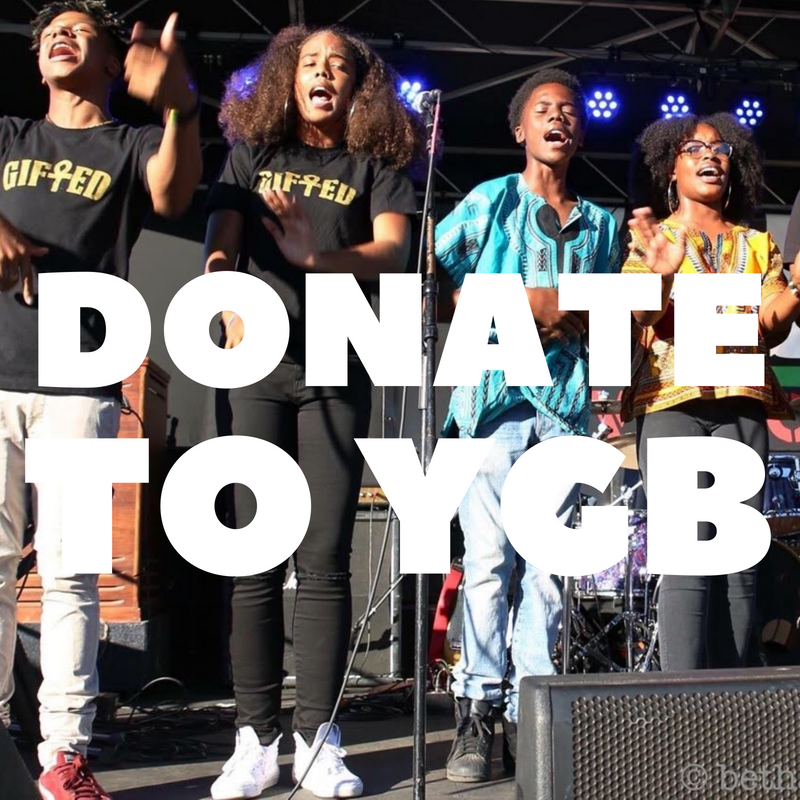 Teaching and learning black history, and pride through historic poetry, hip hop and liberation songs, YGB has been an Oakland community treasure for over 8 years. This year we have transitioned our work to Berkeley to support the 50th Anniversary of Black Studies in Berkeley Unified School District. We have had over 100 youth participants who have performed for thousands of people around California, presented in 4 countries around the world, and performed in national and international events, festivals and broadcasts. YGB has served as youth ambassadors for Oakland and for Black people in the United States for over 15 years. Mr Davis Classroom is a Teachers Laboratory and intensive learning experience for all attendees. Each classroom serves to provide extensive content in Black History and Black Studies, and doubles as a laboratory demonstrated 21st Century teaching. Each lesson is modeled after the social media experience, with lessons that flow like news feeds coupled with the sonic guidance of a live DJ and the voice and teaching of Mr. Davis. Hodari Davis is a long time student and teacher of Black History. With over 30 years of experience teaching, learning, and traveling Mr Davis offers unique insight and perspective in to old historical narratives. The Classroom offers a multi media experience modernizing the teaching and learning of Black History for the 21st Century learner. Each class is a portal into a new and dynamic way of exploring stories about the past of African and African American people. The focus of each lesson is to decolonize some aspect of the false stories people have been taught all over the world to reinforce White Supremacy.